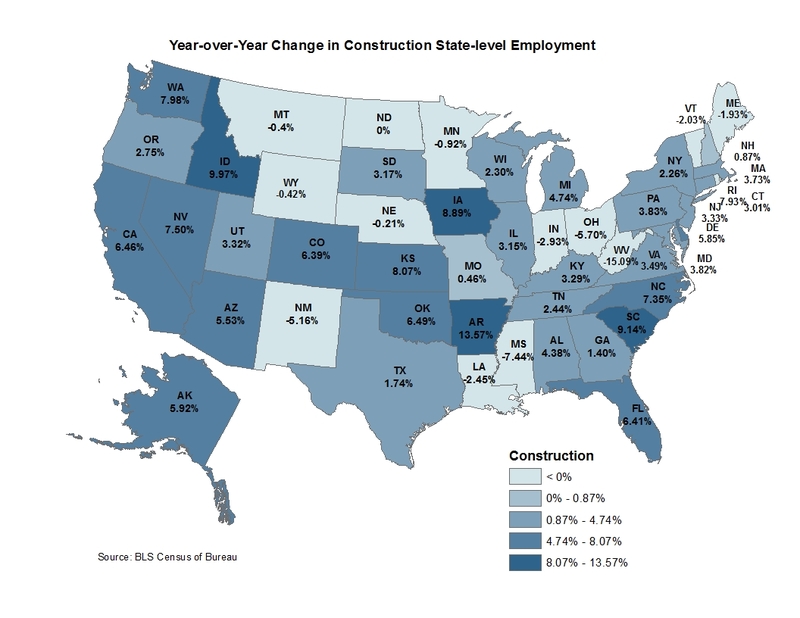 Regional data from the Bureau of Labor Statistics (BLS) reveal that states in the West and Southeast are experiencing relatively faster growth rates for construction employment. The amount of housing supplied through home building depends on both supply and demand considerations. Housing demand supports rental and owner-occupied demand. On the other side of the marketplace, housing supply is dependent, in part, on the ability of builders to obtain and contract with workers. These employment effects in turn generate economic benefits for local economies. Half of states reported a monthly gain in construction employment in August, with Iowa leading with the largest month-over-month increase (2.6%). Regional employment effects are important for determining housing demand. 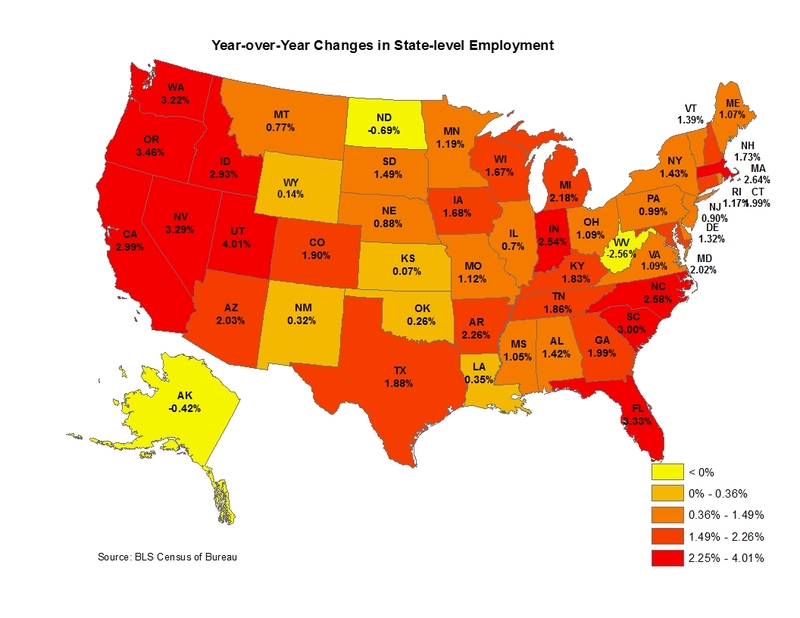 And according to the BLS data, all but three states recorded year-over-year gains in payroll employment, with the exceptions being West Virginia, North Dakota, and Alaska as the energy extraction boom loses steam. The largest year-over-year employment gains were witnessed in Utah (4%), Oregon (3.5%), Florida (3.3%), Nevada (3.3%), and Washington (3.2%).